This book shows how to value, negotiate and structure a successful acquisition in continental Europe in current market conditions. 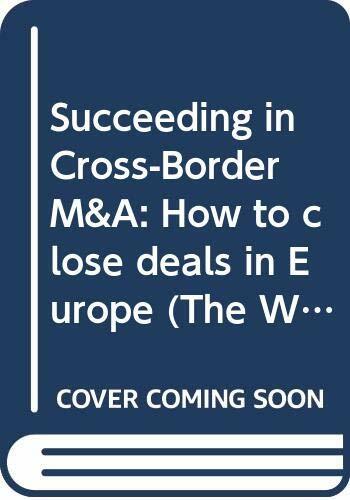 Cross-border M&A activity is notoriously prone to failure. Cultural differences, lack of market knowledge, regulatory changes all contribute to this record. This book mitigates this risk by providing solid guidance on how to successfully negotiate, close and implement deals. It includes coverage of recent trends in the context of the crisis, including sky-rocketing risk premiums, cash chasing, distressed takeovers, and limited debt availability. Franck Ceddaha gives an overview of the European M&A market, before taking the reader through merger negotiation, structuring and restructuring. The book also includes treatment of takeover and shareholder activism, and looks at midsize and family owned businesses which are of particular importance in the European region. The book also includes full case studies giving practical, real-world guidance. Invaluable for both the seasoned M&A professional, and for the corporate executive looking for an understandable source of information, this comprehensive, straight-forward and reader-friendly handbook is based on both solid academic scholarship and long-standing professional experience in investment banking.